On 12nd January, 75mm PU cold room panels to be applied to the project of abattoirs in Mauritius are finished loading and shipped to customer successfully. Strict requirements such as environment,food safety and supervision need to be met on the project of abattoirs. Mr Yeung, purchaser of PU cold room panels, is a Chinese raised up in Mauritius. 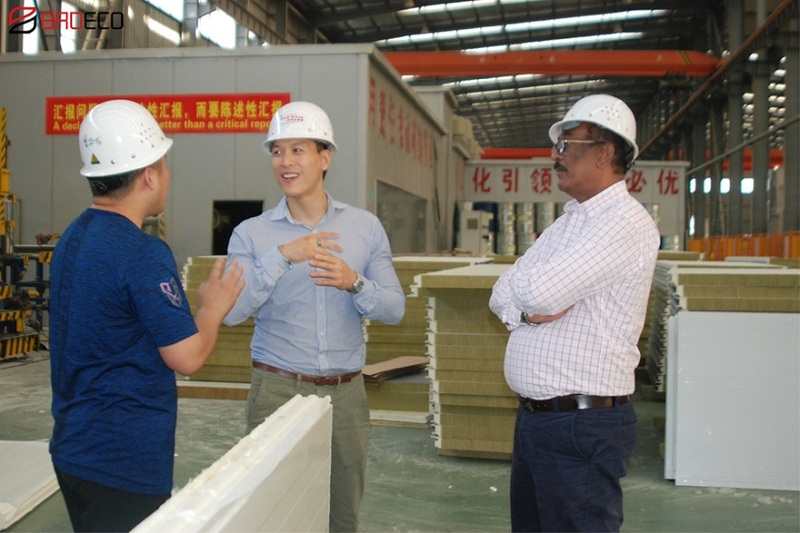 During the visit when Mr Yeung paid to BRDECO Company, he was deeply impressed by the good-quality sandwich panels and supplying ability of BRDECO Company, so he chose to cooperate with BRDECO Company. BRDECO Company imports advanced production line PUMA from Italy to manufacture sandwich panels. Every single piece of sandwich panels manufactured by BRDECO Company has advantages of precision and stability compared with sandwich panels by other brands. 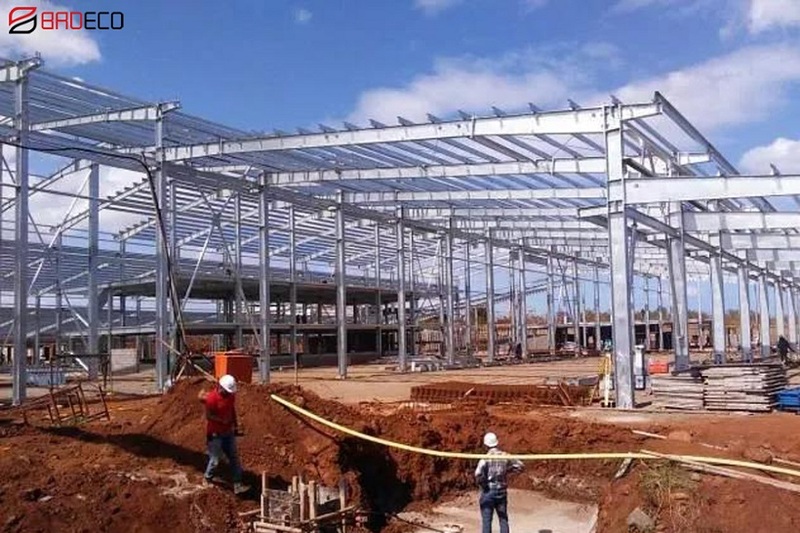 Meanwhile, sandwich panels manufactured by BRDECO Company also have great performance of fireproof, resistance to deformation and as long service life as whole buildings. 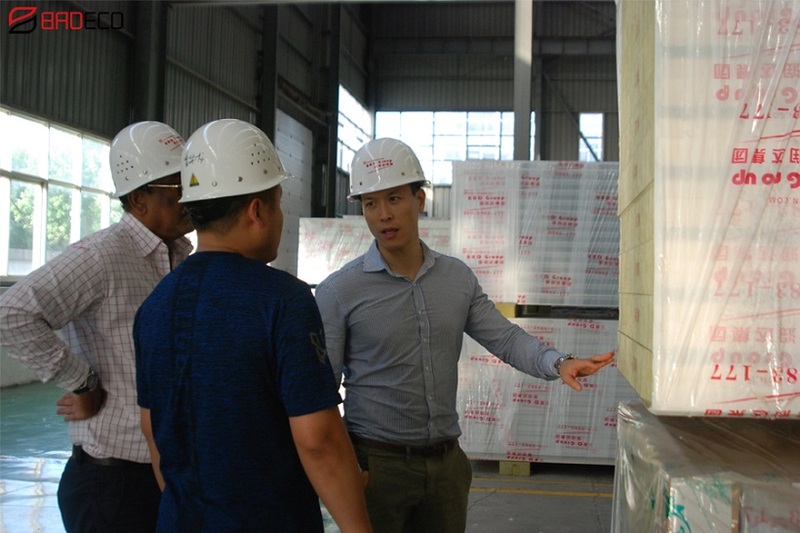 Besides, Mr Yeung also showed passion about wall cladding sytem, garage doors and industrial doors when he visited BRDECO Company.